Whenever a human is killed by a bear in Greater Yellowstone it sets off a chain reaction of speculation. What did the bear do? What was the person doing? What was the setting? What were the circumstances and context for the attack? What does the emerging forensic evidence tell us? Often and unfortunately, whenever the national media gets involved and urban reporters from outside the region pen stories, the description of details can turn outlandish, reflecting the writer’s inherent bias of visceral fear associated with grizzlies even if they have never seen or encountered a real bear in their life. Old mythology is recycled, new myths are born. Meanwhile, context, knowledge, perspective and history matter. Almost always for people who reside in Greater Yellowstone, the question turns to whether guns or bear spray or both were carried by the victim. This, in turn, sets off its own round of trying to assign blame—to animal or human, which riles cathartically emotions but inflames pain for the victim's family and detracts from an opportunity for all of us to become smarter. 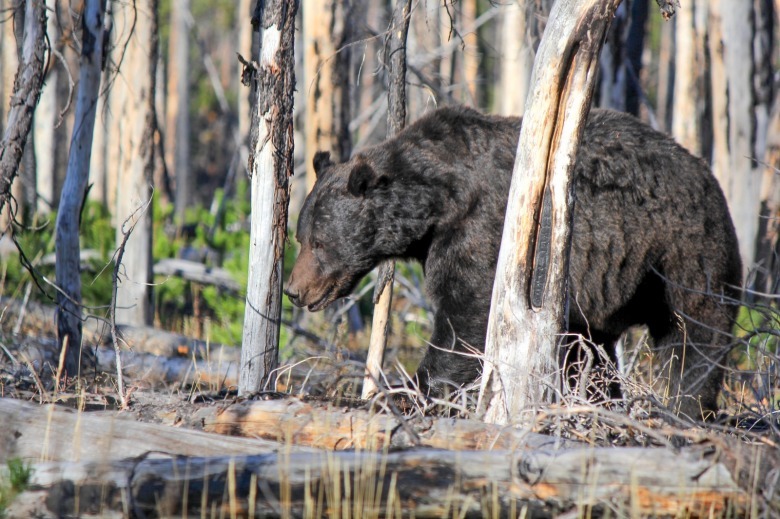 Wildlife officials say two grizzlies killed a Wyoming hunting guide on the morning of Friday, September 14, 2018 northeast of Jackson Hole on the Bridger-Teton National Forest. Mark Uptain, 37, died at the scene of injuries inflicted by one or two bruins. Mr. Uptain was guiding a Florida client on an archery hunt for elk. That hunter, Corey Chubon of Smyrna Beach, arrowed an elk on Thursday afternoon, but Uptain and Chubon didn’t locate the animal until the following afternoon. While the pair field-dressed the elk in thick timber, two grizzlies charged and attacked them. According to an account in the Jackson Hole News & Guide, one bear attacked Uptain first, while Chubon went for a handgun that was nearby in his pack. One of the bears pursued and attacked Chubon. Chubon was unable to shoot at the bear. He stated that he attempted to throw the handgun to Uptain but that it didn’t reach the guide. Chubon then left the scene to summon help, riding a horse to a ridgetop and, according to investigators, miraculously, got a cell phone signal. A helicopter then transported Chubon to hospital with non-life-threatening injuries. Who knows how any one individual person would respond if faced with the facts as they were relayed to investigators above? What we still know is there are things we don’t yet know. Often and unfortunately, whenever the national media gets involved and urban reporters from outside the region pen stories, the description of details can turn outlandish, reflecting the writer’s inherent bias of visceral fear associated with grizzlies even if they have never seen or encountered a real bear in their life. Context, knowledge, perspective and history matter. Wyoming Game and Fish Department managers were helicoptered to the scene and trapped the suspected bears involved. On Sunday, a yearling male grizzly was captured in a leg-hold snare. The adult female grizzly, ostensibly his mother, was nearby and charged Game and Fish personnel as they approached. The adult grizzly was then shot and killed. The Game and Fish team chemically immobilized the yearling and examined it. They determined that the younger bear had been involved in the attack and euthanized it at the scene. 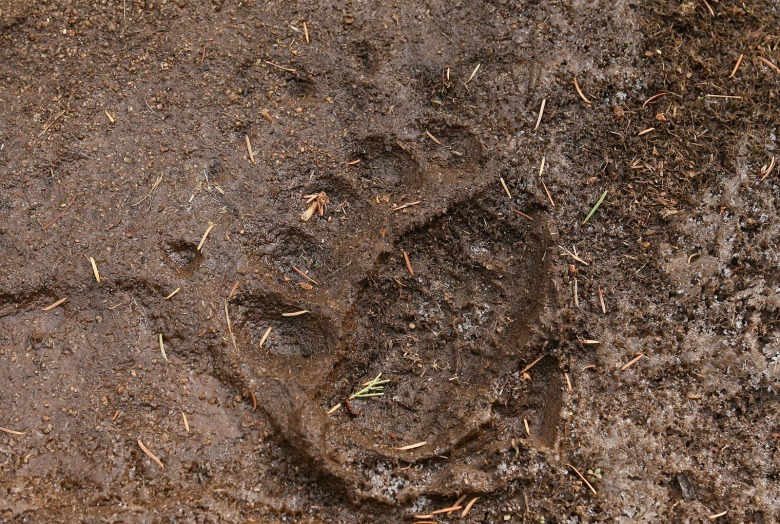 State wildlife officials also surmised that the adult grizzly had been sprayed with bear pepper spray, although residue two days after the attack would be unlikely to indicate the quantity of bear spray that hit the bear. Teton County Coroner Dr. Brent Blue, who conducted the autopsy on Mr. Uptain, concluded there was no evidence the bears had fed on his body. For context, fatal grizzly attacks occur infrequently in the 48 contiguous states. From 1967 to present, grizzlies have killed 23 people in Montana and Wyoming, or 0.44 people annually over the past 51 years. Since May 2010, grizzlies have killed eight people in Wyoming and Montana, with seven of the eight in Greater Yellowstone. Four of the eight were men hiking alone, with no means of self-defense, be it a weapon or bear spray. Of those four, two (Wallace 2011 fatality; Stewart 2014 fatality) of the incidents were associated with big game carcasses, and one involved a bear recovering from a research capture and chemical immobilization. A fifth victim was hiking with his wife, but neither had a means of self-defense, and the pair attempted to run from a female grizzly when it moved in their direction. A sixth victim was killed while mountain biking, after colliding with a large male grizzly on a narrow trail south of Glacier National Park. The nature of fatal grizzly bear attacks has shifted over the past five decades. Lower 48 fatal attacks from 1967 to the mid 1980s typically involved bears that fed on garbage and other unnatural food sources. In other words, bears conditioned to human foods, which indirectly raises fresh questions about the practice of baiting black bears which is permitted in Wyoming, and could inadvertently attract grizzlies, but that is a topic for another story. Nine victims were attacked in a camping area, most of them presumably while sleeping. Since 1984, however, there has been only one fatal grizzly attack on a sleeping camper in the lower 48. That attack took place in July 2010, outside Yellowstone’s northeast entrance at a US Forest Service campground, involving a female grizzly with cubs with no previous history of conflict. Fatal grizzly bear attacks recently have mostly resulted from surprise encounters with hikers or hunters. Compared to the 1980s, grizzly populations are substantially larger. Human recreational use and residential development have also expanded dramatically. Information from this latest tragic mauling is too preliminary to draw meaningful conclusions, other than to underscore the hazards associated with the presence big game carcasses in high-density grizzly areas. In autumn, grizzlies are in the physiological condition known as hyperphagia when they are trying to consume as many calories as possible prior to denning. Thus, for humans, there is a need not only for heightened awareness among all those who go into the mountains but it is critical that people consciously contemplate what could possibly happen and know how they would react. For humans, there is a need not only for heightened awareness among all those who go into the mountains but it is critical that people consciously contemplate what could possibly happen and know how they would react. The survivor of the latest attack, Chubon, left Wyoming soon after the attack and returned to Florida, with media outlets in that state, after interviewing his father who was also on the hunt, reporting alleged details that, for now, raise more questions than deliver answers. One media outlook mentioned Chubon’s father as claiming his son was dragged from his horse, which raised eyebrows among veteran horsepeople who have spent years of their life in the backcountry and never experienced an incident like that. 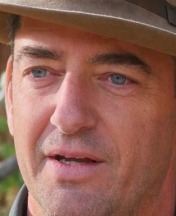 Mr. Uptain, meanwhile, leaves behind a wife and five children. His death is nothing less than a tragedy. This Wyoming incident does have common elements with a fatal grizzly attack on a Montana elk hunter in October 2001, in the Blackfoot Valley east of Missoula. Hunting alone, Timothy Hilston of Great Falls killed an elk and was field dressing it when a female grizzly with two cubs-of-the-year approached him. The adult grizzly attacked Hilston, who died from blood loss due to multiple bite wounds. The bears fed on the elk, but not on Hilston. Officials trapped the adult grizzly at the site three days later, and euthanized her and the cubs. Then-US Fish and Wildlife Service grizzly bear recovery coordinator Chris Servheen said of the Hilston fatal attack 17 years ago: "Knowledgeable people will put this event into context," he said. "These things are extremely rare . . . It is most unfortunate that this happened, but also very unlikely that it will happen again anytime soon." Grizzly attacks can happen. They come with living in the few wild places that remain. When they occur, the patterns of evidence suggest they often involve humans surprising a bear, not an episode of predation. Millions of people circuit through the central core of the Greater Yellowstone Ecosystem each year where an estimated 700 grizzlies are said to live. In Yellowstone National Park, where 4.3 million human visits are notched, there is an average of one bear mauling a year (three times as many people have been injured by bison and elk). Again, grizzly fatalities are rare. When bear spray is available and successfully deployed, the word “tragedy” is used even less. Mountain Journal’s sincere sympathies go out to the Uptain family and friends.